Representatives of the MARLISCO partnership, which includes MIO-ECSDE, its advisory panel and of the European Commission came together to take stock of the progress made and fine tune the project’s next steps in combating marine litter in European Seas. Co-organized by the Province of Teramo and PlasticsEurope, it took place in Brussels from the 5th to 6th of February 2014. 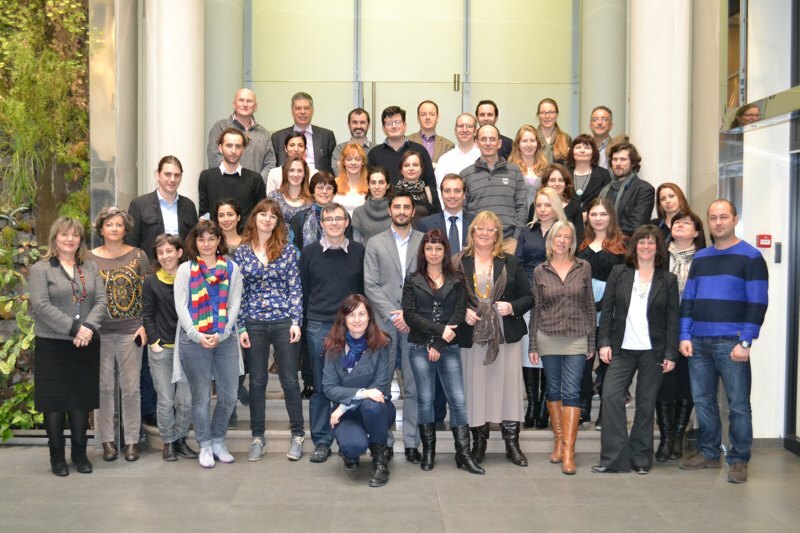 The first day of the meeting was dedicated to reviewing the main achievements, outcomes and results produced within the first 18 months of the project towards meeting its objectives with regards to raising public awareness, facilitating dialogue and promoting co-responsibility on marine litter across all European seas. Opening remarks were made by Mr. Antonio Scarafino of EC DG Research & Innovation, followed by an overview of the project implementation made by the Lead Partner (Province of Teramo). In the evening session, the national partners had the opportunity to showcase their activities implemented in 15 countries (DE, DK, IE, UK, NL, FR, PT, ES, IT, SI, CY, GR, RO, BG, TK) and corresponding outcomes, as well as to share their experiences and lessons learned with regards to the video-contest for youngsters and the educational/awareness raising activities. Particular attention was then given to the videos evaluation and dissemination, an activity led by EUCC and the development of the exhibition, educational pack and upcoming training activities led by MIO-ECSDE. The second day of the meeting was opened by Mr. Leo de Vrees (DG Env Officer) who provided an overview of the EC’s efforts to tackle marine litter. Interventions followed by Regional Sea Conventions representatives (from OSPAR, HELCOM, the Barcelona Convention and the Bucharest Convention) and discussions were held on the identification of potential synergies between the RSCs work related to marine litter and MARLISCO. The rest of the day was dedicated to the National Forums planning and implementation, an activity led by NUIC-UCC. The outcomes of the progress meeting were much appreciated by both the European Commission representative and the Advisory Panel members, who renewed their commitment and support to the project.